People having faith on eternity of capitalism consider seven decades of the grand experiment of human civilization of building socialism in Russia to be a dark tunnel that ends in the late 80's with fresh air of liberal democracy and hence revolution deserves a collective forgetting. Even if some bother to look back they seem to be busy in discovering demons and episodes of tyranny somehow nervous in facing the social process that created sparkles of alternative that caught the imagination of the working class and dispossessed people of the world. Non-existence of Soviet Union and the end of Cold War era makes its absence even more pronounced in the context of the current ascendancy of global capital. The revolution didn't succeed in transcending capital relations but since capitalism is increasingly approaching its limits, socialism continues to be the challenger, revolution is alive in the minds of people, it raises its ugly head again and again within realities of exploitation, deprivation, humiliation and oppression and finally in the dreams of emancipation from all the shackles of un-freedom. It is not about glorifying a defeat but it is about the occult power of kindling dreams of change that is scary to the ruling class and hence they prefer silence rather than explicit anathema on Bolshevik revolution. The other way of fossilizing soviet revolution would be to see it as a dead monument or a dead star that have died many light years back but still we see the blinking light, we see at a distance and praise, sometimes as a mark of our past that stopped talking to the present long back. As if it was a glory of the past that died out for some reason or the other but introspecting on those reasons would diminish the glory itself and hence let's not talk that. The six weeks of revolutionary government in 1871 had enormous impact on Marx who was closely following the revolutionary upsurge in the streets of Paris the way working class besieged the second empire of Louis Napoleon and told the world new ways of organizing society. Marx was immensely fascinated but also impatient to put together his views in the pamphlet The Civil War in France, dissecting the rise and fall of the Commune and arrived at his new idea of state that marks a difference from his idea of revolution spelt out in the Manifesto. Socialism is not about controlling capital relations that appear to be spontaneous it is about altering capital relations altogether. Capital in Marx is a completely different animal, different from every other analyses that we get from bourgeoisie schools of thought including that of classical political economy. It is not a vector of inputs nor an accumulation of past labour in the form of machines, buildings, tools and so on. Capital in Marx is a social relation that separates direct producers from the means of production and by this process creates a class of capitalist on the one hand and the working class on the other hand. Capital therefore is a private property of a class called capitalist and non-property of labour. This is what we get from Grundrisse which Marx wrote as an introduction to Capital. This property of class can take several juridical forms, private, public, mixed and so on and altering this juridical form is not a sufficient condition to transcend capital relations. In fact Marx in volume three of Capital talks about various forms of capital and ownership structures that do not conform with private property of means of production. For instance, Joint Stock Company is a sublimation of private property to a capitalist collective. Interest bearing capital or merchant capital get a cut of the surplus value not because they own the means of production but receive subsumed class payments for creating conditions for the production of surplus value. Therefore establishing state ownership of means of production may be a precondition to achieve socialism but if capital relations continue to exist capital would pick up its own 'personifications' in various forms and the bureaucracy that run the show on behalf of the state can emerge to be the new personification of capital. Socialism is also not about fixing old limbs into a new body. In other words every society creates its own materiality of existence. Marx made a distinction between formal and real subsumption of labour. In the former case it is a process of attaining control over labour while the materiality of pre-capitalist production continues to exist and therefore there exists possibilities of rewinding the process. Beyond a point capitalism creates its own materiality of command and control. And this is the rise of factory, from manufacture to machinofacture, large scale production and so on which are the limbs created by capitalism as its own. Once bourgeoisie revolutionizes the production process and creates its own materiality existing pre-capitalist structures function only as appendage to the dominant structure. It is the real subsumption of labour when capitalism emerges as an organic system. While talking about transition and the emergence of an organic system Marx argues that an organic system is such in which each and every relationship is the presupposition of the other. One reinforces the other and only then it appears to be normalized and spontaneous. But this was achieved by capitalism not as an automatic process rather it was a result of regulation regimes that forcibly subvert and subjugate other pre-capitalist relationships to the imperatives of capital. Socialism in a way failed to create its own materiality and could not emerge as an organic system because it could not subvert the capital relations that were active both internally and externally by instituting a socialist regulation regime. 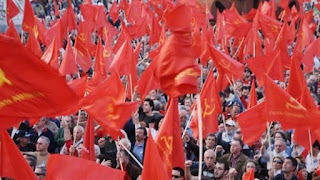 Soviet Union did create unique example in history in terms of providing more humane working conditions, full employment, institutions of social reproduction that weakens patriarchy, social care and subsidized necessities to the level unmatched to many of the advanced capitalist countries. Real wage and per capita physical consumption increased till the end of eighties and there were episodes of declining working hours in a day as well. These were achievements unthinkable in a backward country like Russia; and were made possible by the Soviet state simply because of a different imagination of social organisation. It created immense impact on the working class of both advanced and developing economies and the ruling class of those countries being scared of the rising popularity of the idea of socialism were forced to institute various designs of welfare measures. 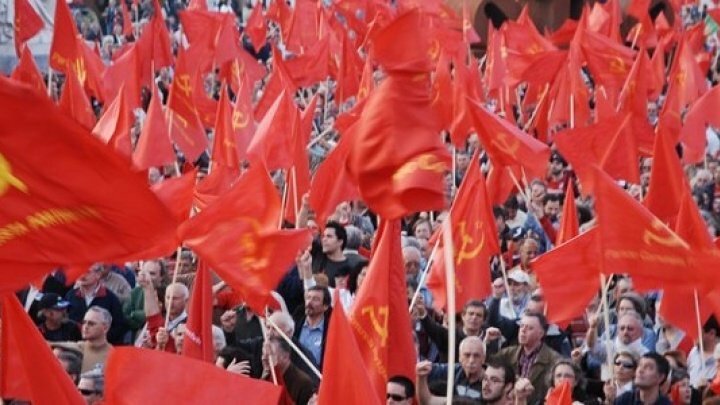 But one should not undermine the fact that all these achievements of living standards and rights were established and practiced in Soviet Union by the state and its managers of enterprises and these were never the result of working class agency. In a soviet enterprise it was really difficult to lay off a worker because of the protective benevolence of a paternal state but at the same time there was hardly any provision to fight against managers of enterprises or the state. The dominant idea was why the working class should need an agency to fight against the socialist state which is by definition a working class state. In fact the system was driven by an implicit contract between the state and the working class where the class would compromise its agency against better living and relative egalitarianism ensured by the state. With an impatient chase to higher growth it could manage to achieve living standards comparable to many developed countries and hence could sustain the contract for quite some time but beyond a point extensive growth path became unsustainable. Then there was need for intensification of production and labour process which was bitterly fought back by the working class that aggravated the crisis of soviet socialism. 'Perfecting' capitalism required a protracted process of three hundred years, and still it is one of the most imperfect and uneven systems in the world. Bourgeoisie theorisation often poses capitalism as a system that rests upon freedom of producer and consumer interacting through market and in the political realm voices their concerns through institutions of democracy. But this is a facade that capitalism created successfully to hide its ugly faces. It is not the market and freedom of exchange that creates profit for capital. It is rather the 'hidden abode of production' inside the factory which is deaf to any sort of democracy operates through command and control and that is the site of production and appropriation of surplus value. Capitalism in history had always been tainted with blood and murder, brutal appropriation of resources causing dispossession for the sake of surplus during colonialism in the past and through imperialist globalization in the regime of Empire. It seems to have a peaceful democratic face in Western Europe and may be in some other parts of the world but it had the ugly face of fascism in Germany, Italy and Spain, it is capitalism that destroyed generations of people in Vietnam, organised mass killings in Chile and Indonesia, it is the same capitalism that in recent history brutally organised mass murder in Afghanistan and Iraq. It happily accommodated feudal monarchy and even slavery that existed in many parts of the world, it is dazzling with wealth in the US and poverty and hunger in Somalia and large parts of Africa. The unending thirst of profit making which is the holy instinct of capitalism creates a devastating threat to human relations and also causing environmental degradation. It is taking toll to human civilization and hence increasingly reaching its limits. The failure of Soviet Union can only give a breathing space to capitalism to breathe its last. Future socialism has nothing to learn from the rot of capitalism but it has to draw lessons from the defeat of Paris commune and Soviet Union and East European failures. It has the claim of not only replacing capitalist exploitation but to do away with capital relations altogether and eradicate all kinds of exploitation and oppression. Socialism is reinstating the collective subjectivity of the working class which is essentially a process of reuniting the direct producers to the process of production. Collective ownership of the means of production is a prerequisite in this protracted transformation towards a society where labour becomes 'immediately social'. In capitalism the relation between human beings and their societal existence is mediated indirectly through market. The social relationship and interdependence between human beings is fetishized as relation between things. The socially necessary labour and not the actual amount of labour congealed determine the value of the commodity. This average measure of abstract labour is the guiding principle of value relations which works indirectly as the capitalist regulator from behind. Socialism is supposed to be a system that makes human relations direct and not mediated by exchange values. It is where society and its constitutive individuals interact as contributing to the commons and get return according to the labour actually spent. It is a gradual transformation towards the world of use values where human beings exchange their contributions directly, where reduction of labour time through advanced technology increases disposable time that enhances individual freedom of choice of work, the kind of freedom that capitalism could never think of. The idea is to ultimately transcend the realm of necessity when labour is no longer a means of life but emerges as life's prime want. In other words labour seizes to be an input of production and emerges to be the subject of production who by its education, tradition and with appropriate use of mind and body decide priorities and needs of society unmediated by any other institution or agency. In this case the societal existence is prior to production which acts as a presupposition rather than being realized indirectly after production as in the case of capitalism. In this protracted process of transcendence regulations need to be put in place that consciously subvert capital relations and subjugate all other relations to the imperatives of socialism that works on the basis of active solidarity. This process of transcendence might involve force as it used to be in any regulatory regime of the past but it is supposed to be less coercive for the working people at large because these are destined to end capital relations that separate labour from the conditions of labour. And of course it would be more coercive to few people who could benefit by the reproduction of exploitative elements carried over from the past. There may be some need of coordinating such activities, some sort of 'directing authority' as Marx indicates in Capital and the role of the coordinator is similar to that of a conductor in an orchestra, who does not own the band, neither the instruments, one who is not the employer but a musician with a particular responsibility of conducting, very similar to any other musician in the band. Here the conductor is not the master of the band instead can be replaced by the band anytime if she does not perform her duty. The state here dissolves into community and society. Socialism therefore is a journey towards dissolving the state rather than strengthening it. It has to evolve its own materiality that is communitarian and participative replacing production structures those were suitable for command and control. It is only then socialism will evolve as an organic system where each and every relationship reinforces the other and the system becomes naturalized. It is a journey towards association of free and equal producers where human beings are not passive receivers of gains and losses but creators of their own history.